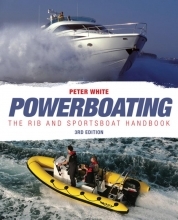 This is the perfect reference for anyone using a powerboat whether you are just starting or need a refresher. The primary themes throughout the book are safety and fun with regular checklists at every stage. 3 Which engine and trailer? 9 Life begins at 25 (knots). 14 Engine and trailer troubleshooting. 16 Rule of the road. 20 Recovery and the road.